More than 49 million Americans have tried online dating, according to Statistic Brain, so it would seem like it’s a pretty simple thing to do. Just create a profile and start searching through those millions of singles — you’re bound to find someone you like, right? However, there’s more to online dating than that. You have a lot of things to consider, such as what you’re going to say about yourself in that profile, and sometimes, if you make even one false step, you could greatly jeopardize your chances of success. We’ve compiled a list of nine tips to make your online dating experience as smooth, fun, and beneficial as possible. From a massive user base, numerous advanced features, and a free membership to an intuitive app and a trusted reputation — Match.com has it all. Launched in 1995, Match was the first dating site ever, so they’ve set the bar incredibly high, and others have been following suit ever since. Zoosk came onto the dating app scene in 2007 before pretty much every other service and the same year as the first iPhone release. They made it possible to find a date no matter where you were, and their integration with Facebook and Google+ made for quick signup. Today, Zoosk has 38 million members and is available in 25 languages and in more than 80 countries. If you’re looking for a long-term commitment, not a hookup or casual date, eHarmony should be on your radar. Dr. Neil Clark Warren, an American clinical psychologist, Christian theologian, and seminary professor, founded the site and created its unique personality questionnaire, which compares 29 dimensions of compatibility to pair users. eHarmony will deliver these highly like-minded matches to you, so you don’t have to worry about finding someone on your own. And eHarmony isn’t just all talk — the site really does work, as about 4% of marriages in the United States started here. Concern for their safety is probably the number one thing that holds people back from online dating. While there have been stories about scams, when you look at the bigger picture, we’d say online dating is safer than randomly meeting someone at a bar or club. You just need to do a little studying before signing up for any dating site. Read reviews online (we have a lot of them here), ask your family members and friends who’ve also online dated for their opinions, and read news articles to see which ones are trustworthy. Most dating sites provide a free trial or free account that allow you to join, fill out your information, upload several photos, search for and receive matches, and communicate in certain ways. You’ll want to take advantage of these offers so you don’t end up spending money on a site you don’t like. For example, Match has an all-inclusive free three-day trial period, while Zoosk and eHarmony have free memberships that never expire. Your profile is the first thing dating prospects will see, so you want to make a good first impression. If you can’t grab their attention within seconds, more than likely they’ll move on to someone else and won’t come back to you. OK, so this is Ted from “Scrubs,” but you get the idea. Make sure you’re smiling, upbeat, and as detailed as possible in your profile. The best thing you can do is make sure your profile has no spelling mistakes or grammar errors. Studies have shown even one mistake means you’re 14% less likely to receive a response, especially if you’re a guy. It’s always worth getting another set of eyes to look at your profile before you put it out there. Pictures can make or break you in online dating as well, so you should have a variety (portraits, full-body, action, etc.) but avoid selfies and group photos. You can do your part by making your profile as perfect as can be, but the dating site you’re on should also do their part by providing comprehensive search features and quality matching. Zoosk’s Carousel is a fun way to quickly say if you’re interested in someone or not. Of the sites we’ve already recommended to you, eHarmony does all the matching for you, meaning there’s no work or pressure on your shoulders. On Match, you’ll get suggested matches based on your preferred age, gender, location, hobbies, appearance, and characteristics like that, and you can search on your own based on that criteria. The company also hosts monthly events with their members at places like bars and restaurants to make connecting even easier. Zoosk’s search functionality is similar to that of Match, but they also have what they call the Carousel. Here, they’ll present you with a member and ask the question “Want to Meet Him [or her]?” to which you answer yes, no, or maybe later. 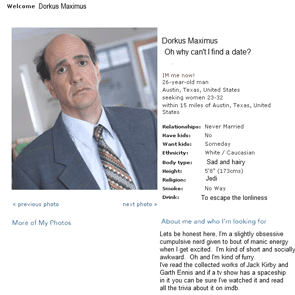 Zoosk’s Behavioral Matchmaking™ algorithm is another site-exclusive tool. While you’re browsing profiles, sending people virtual winks, adding them to your Favorites list, or putting what you like and don’t like in your profile, Zoosk will use this information to send you SmartPick™ matches. We all have different definitions of what’s considered attractive or makes someone an ideal partner, and there’s nothing wrong with that. But online dating is a good time to step outside of that comfort zone and give someone who’s not your type a chance. You don’t have to compromise on major deal-breakers such as they smoke but you don’t want to date a smoker. It can be little things such as they like snowboarding but you like skiing, they have brown eyes but you like green, or they’re 5’10” but you only date men over 6 feet. 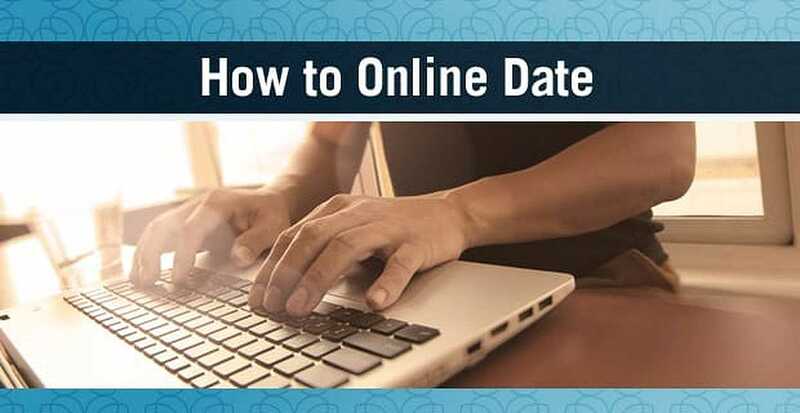 An online dating account isn’t like cooking chili in a crockpot — you can’t set it and forget it. You’ll have to make an effort pretty frequently. We’d say you should log in every three days or so to see if you have any new matches or messages, and once a week, you should update your profile. Even changing or adding a few words or photos will help you show up higher in the site’s search results. Just as you want your profile to be specific, you want your first messages to be distinct as well. Online daters, especially women, receive tons of chats and messages every day. If you copy, paste, and send the same text to everyone, it’s going to be obvious. Take a few seconds to pick out something from their profile that caught your eye, and then talk about that in your message. They’ll appreciate the gesture, and we’re sure you would, too, if it were vice versa. There’s no need for dating games anymore such as getting a text from a guy and waiting 24 hours to respond or going on a date with a girl and waiting three days to call and ask her out again. Most people want a date who’s honest, genuine, and polite, even if it doesn’t work out in the end. If you’re into playing the who-cares-less game, you may win, but you also may never get a date. When someone sends you a message, unless it’s vulgar and rude, try to respond in a timely manner (that same day or the next morning if it’s late). You don’t want to bombard people with a message every five minutes, and we all have jobs where we probably can’t reply right away. But when you have downtime, try to get back to the person who’s expressing interest in you. Arrange Your Date & Have Fun! At the end of the day, you could throw up a quick dating profile, send winks to a bunch of people, and see where it gets you. But if you’re serious about improving your love life, you’ll want to follow the advice above — as we believe it can help you learn how to online date successfully. Now, all you have to do is get out there!